Lexington, KY - June 30, 2016 - Brett Burlington, of Miami, FL, has been named Show Jumping Hall of Fame Rider of the Month for June. The Series honors one rider each month as the Rider of the Month. The honor goes to the one rider who earns the most points on one horse in Series competition that month. Burlington competes in the Junior division in the East Conference of the Show Jumping Hall of Fame Jumper Classic Series. She earned the award after winning the Show Jumping Hall of Fame (SJHF) Jumper Classic Series class at the County Heir I Horse Show in Lexington, KY, out of a field of 12 and also took 4th place at County Heir II Horse Show out of a field of 25, earning 380 points riding BLUF. "I would like to congratulate Brett Burlingtonon being named our Rider of the Month for June," said George Morris, President of the Show Jumping Hall of Fame. "Brett is an amazing rider and we would like to wish her continued success throughout the rest of the very competitive Series." The Show Jumping Hall of Fame Jumper Classic Series is sponsored by The National Horse Show Association of America, The Hampton Classic Horse Show, SmartPak, and Stadium Jumping, Inc.The Series hosts separate divisions for junior and amateur-owner riders in two Conferences - the East Conference and the West Conference. Series standings are used to help determine junior and amateur-owner entries for the National Horse Show and Las Vegas National Horse Show. Founded in 1999, SmartPak Equine is the country's largest online and catalog retailer serving the needs of the active and engaged horse owner. The patented SmartPak™ supplement feeding system has simplified the process of feeding horse supplements and medications, making it easier for thousands of riders to keep their horses healthier by ensuring their supplements are being fed correctly. Learn more at www.SmartPak.com. The Hampton Classic, the prestigious culminating event of the Hamptons' famed summer season, features top jumper and hunter riders from across the country and beyond competing for their share of some of the richest prize money in the nation. The Classic features six show rings, a Boutique Garden with more than 70 vendors, a wide selection of dining options and a Farmer's Market, all on its 60-acre show grounds. The Classic hosts more than 100 classes of competition for horses and riders of all ages and abilities. 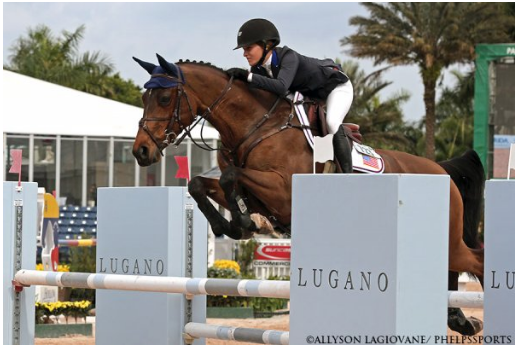 A wide range of hunter, jumper and equitation classes are offered from leadline all the way up to grand prix. The Classic also has classes for riders with disabilities. More details are available at www.hamptonclassic.com. The National Horse Show is a weeklong championship event featuring "AA"-rated hunters, open jumpers, junior/amateur jumpers, and the ASPCA Alfred B. Maclay Finals. It is held in the Alltech Arena at the Kentucky Horse Park in Lexington, KY, site of the 2010 Alltech FEI World Equestrian Games™. Further information is available at www.NHS.org.